Gain the knowledge, hands-on skills, and industry insights you need to succeed with this proven guide to the latest and best practices in residential electrical wiring. Completely up to date with the 2017 National Electrical Code© and key Home Builders Institute (HBI) National Skill Standards, this vividly illustrated, full-color text will give you a thorough grounding in basic residential wiring concepts. In addition, you'll learn about 'green' topics such as sustainable building practices and alternative energy systems, as well as practical applications, real-world scenarios, and safety practices you're likely to encounter on the job. 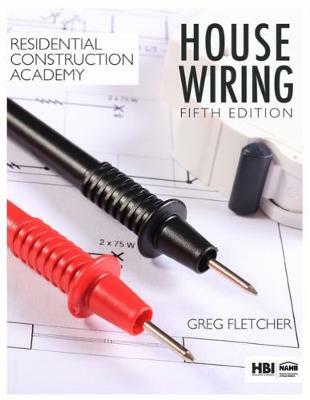 With special features to reinforce learning in every chapter, plus helpful print and digital support materials, RESIDENTIAL CONSTRUCTION ACADEMY: HOUSE WIRING, Fifth Edition, is your ideal resource for career success.